Concrete that is light and translucent, fabric that responds to its environment by lighting up, tiles that can be moved from place to place at will—these are just a few of the updated entries you’ll find in The Interior Design Directory. 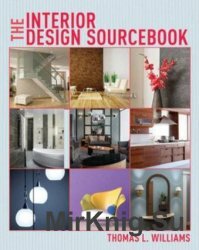 The book is divided into four parts, opening with a section on classic, composite materials including wood and stone, brick, and ceramic, then moving on to building materials that have been refined and updated for home use from glass, concrete, and metal to rubber and tiles. The final section is devoted to sustainable materials and the environmental impact of our choices. Photographs of contemporary interiors and detailed close-ups of each material make this as visually inspiring as it is practical.